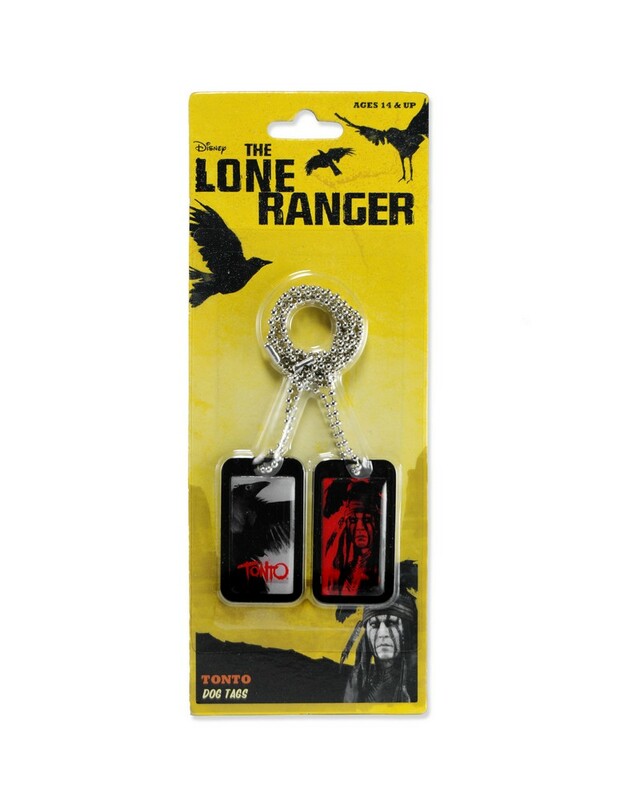 Where would the Lone Ranger be without his trusted companion Tonto? 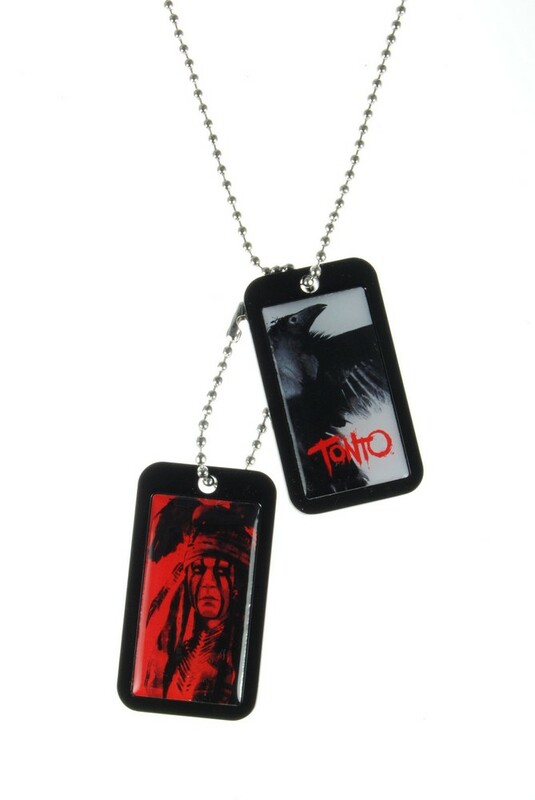 These metal and epoxy dog tags from Disney’s The Lone Ranger feature the brave spirit warrior and Wendigo hunter. 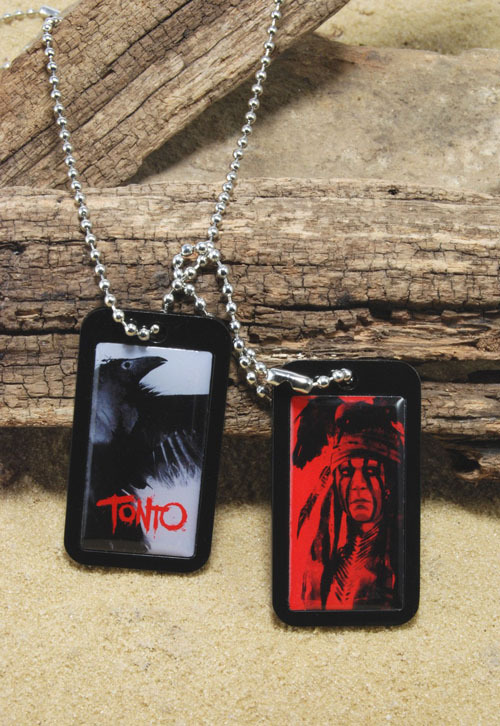 The two plates measure about 1×2″ each and show Tonto and a crow. They hang from a 27-inch ball chain that’s easy to slip on over your head.